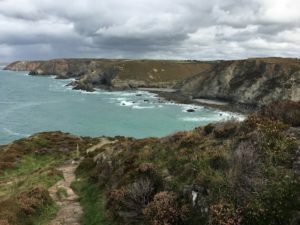 Hoping for a glorious out-of-school-holiday summer break in Cornwall we spent the first two weeks of September exploring our most south-westerly county, as the storms and squalls relentlessly rolled in from the Atlantic. Luckily the bursts of rain were interspersed with enough dryish blustery weather to get us out of the car and out into the countryside. It really is a beautiful place, lined with jaw dropping rugged coastline. First was The Lizard, with its rare geology, partly created from a massive chunk of exposed mantle rock. 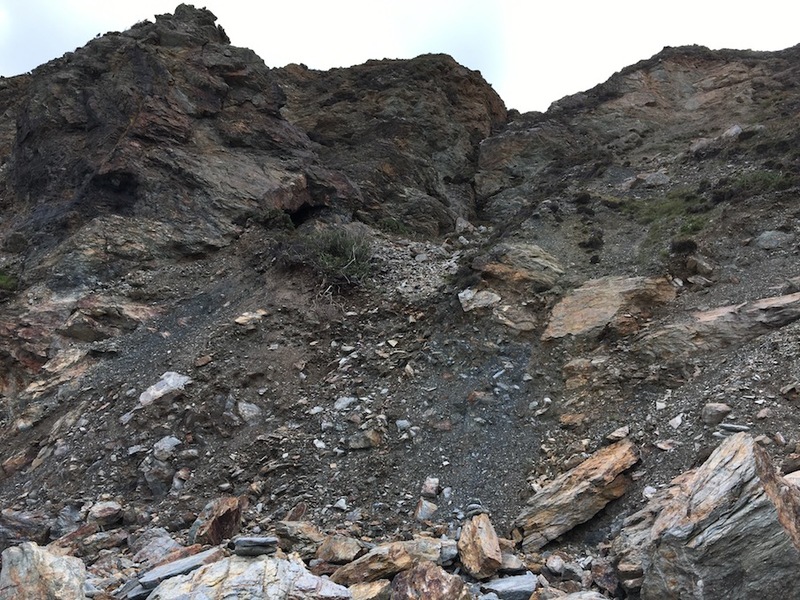 It’s pretty dark down there: igneous metamorphosed. Mantle and gabbro (which is slow cooled basalt. 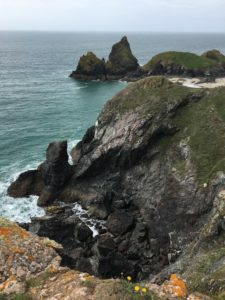 The rest of Cornwall is made up of bands of sedimentary rocks: Devonian age mudstones and sandstones mostly, with intrusions and dykes of igneous rocks such as granite. 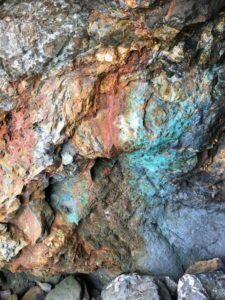 Along with these intrusions is heavy mineralisation and the associated tin and copper mining – the remains of which can be seen almost everywhere along the north coast. Yet another stunning coastal view…..and I finally found copper, though sadly none that I could tea home with me. I have, however, come home with many bags of interesting new rocks. Let the testing begin!